Today modern Mongols have several sources to gather the information about Mongol nation in 13-14 century. That is the book Secret History of the Mongols written by someone who knew Chinggis Khaan personally, and was intended as a sort of imperial history. A few other sources, such as traveler Marko Polo's notice, the merchant of Wilgelim Roubruk's note, Juvaini's History of the World Conqueror, Altan Devter written by the famous Persian historian Rashid al-Din, do exist, but the ultimate source of the information is not clear. By 1120 Borjigon Mongols emerged in central Mongolia as a leading clan, and its principal leader Khabul Khan began a series of raids into Chin Dynasty /China/. In 1168 Temujin, the first son of Mongol chieftain Yesuhei Baatar, and grandson of Khabul, was born. Yesuhei baatar, who was chief of the Khiyad sub-clan of the Borjigon Mongols, was poisoned by neighboring Tatars in 1175, when Temujin was only twelve years old. The Khiyad Borjigons rejected the boy as their leader and chose one of his kin instead. Temujin and his family were abandoned and apparently left to die in a semi-desert, mountainous region. Sixteen years of nearly constant warfare followed as Temujin consolidated his power north of the Gobi. Temujin got help from the neighboring Khereit clan, which received subsidies from the Chin emperor in payment for punitive operations against Tatars and other tribes that threatened the northern frontiers of Chin. Later Temujin broke with Khereit clan, and in a series of major campaigns he defeated all the Mongol and Tatar tribes in the region from the Altai Mountains to Manchuria. In this time Temujin emerged as the strongest chieftain among the leaders in a confederation of clan lineages. His principal opponents in this struggle had been the Naiman Mongols, and he selected Khara Khorum (southwest of modern Ulaanbaatar ), as their capital - the seat of his new empire. In 1206 Temujin's leadership of all Mongols and other people, who conquered between the Altai Mountains and Khinggan mountain range, was acknowledged formally by a khuraldai (nomad's parlianment) of chieftains as their khan. Temujin took the honorific Chinggis , meaning supreme or great, in an effort to signify the unprecedented scope of his power. He took personal control on the old clan lineages, ending the tradition of non-interference by the Khan /leader of clan/. Chinggis Khan unified the Mongol tribes through a logistical nexus involving food supplies, sheep and horse herds, intelligence and security, and transportation. The most big advantage of Chinggis khan was he has the most reliable and clever army leaders and consultants.They developed a census system to organize the decimal-based political jurisdictions and to recruit soldiers more easily. So they could build exceptionally flexible mounted army and the cadre of Mongolian and some foreign warfare experts who facilitated his conquest of cities.After 1207 and 1209's Mongolian army conquering the well-fortified Western Xia cities, in 1209, the Western Xia emperor, with substantially reduced dominion, acknowledged Chinggis as overlord. Having the Mongol steppe under his control, Chinggis now turned his attention to neighboring states. As the great khan, Chinggis was able to consolidate his organization and to institutionalize his leadership over a Eurasian steppe. He himself led battles against the Tangut state of Hsi-Hsia (related to the Tibetans) in what is now present day Xinjiang (northwest China ), and the Chin in northern China , taking Peking in 1215. In 1218, the Khwarazm Shah, Mohammed II, slaughtered a Mongolian caravan and a following 400 delegation of ambassadors at Otrar in Transoxiana (roughly present day Uzbekistan ). Khwarazm Empire was the most powerful empire of Turkish tribal. This precipitated Chinggis's attacks on Central Asia , consequently, Chinggis army attacked to main cities of Khwarazm-Buhara and Samarkand and capital city Gurganj. These cities are destroyed by Mongolian soldiers completely and only 1 of fourth people left alive. This was just the caution for other tribes and nation in central Asia. By 1222, Mongolian horse mounted army reached to Caspian and Azovian seas. At approximately the same time, Chinggis's general Subeedei began campaigning in Russia , as part of a three year long reconnaissance through Russia and the area around the Black Sea. This was "highlighted" by the defeat of the numerically superior Russian army at the battle of the Kalka River in 1223. In that time Chinggis Khan and his generals organized 2 kinds of cavalry: light cavalry's soldiers were armed with bows. But the soldiers of heavy cavalry wore special heavy clothes and armed with swords. The bow shooting tended for 250 meters and pressure on the target was 60 kg. Plano Carpini, messenger of Roman Pop wrote that Mongols were never ashamed to step back. This was their tactics to cheat the enemies and to weaken the enemy's power. Nomadic Mongols run the psychological warfare such as making many fires in the night to show we owned a big army and make them to lose their hopes. Also Mongols had got well experience and tecnics with good effectiveness against the enemy. They threw big stones or burning objects over the city fortress, discontinue the food supply, even they used biological weapons to weaken the enemy's power. For example, in order to spread an infection they threw sick animal's carrion over the fortress of resisting city. In 1225 Mongolian army lead by the general Subeedei galloped back to their homeland to make war with Tanguts ( Tibets ), who are always threated Mongols. During the campaigns against the Tanguts Chinggis khan died in 16,Aug 1227. His body was taken back to his birthplace, in what is today the Hentei aimag (province) of Mongolia , northeast of Ulaanbaatar. According to legend, anyone meeting the funeral procession was killed, so no one would know of Chinggis's death. The cart carrying his body is said to have bogged down in the Ordos region of China, and only began moving again after the prayers to his spirit by one of his followers not to abandon his people. As a result, however, a shrine was built in the Ordos region. 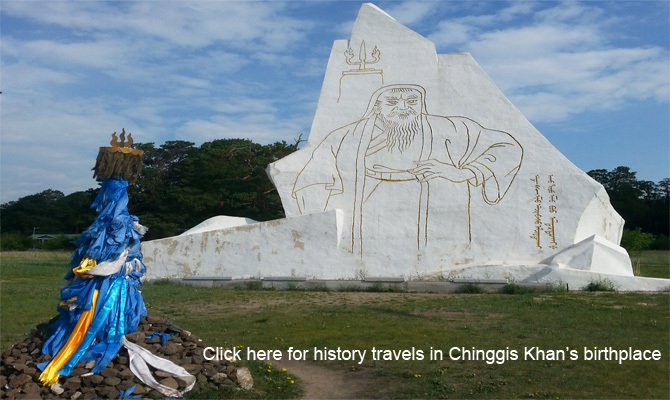 Today most Mongols only claim that some effects of Chinggis' were buried in the Ordos , but at various points in history, it has also been claimed that Chinggis himself was buried there. In any event, a herd of horses was said to have been driven back and forth over his grave in Hentei to obscure it, and soldiers posted until trees grew over it. When Chinggis Khan died in 1227, the Great Mongolian Empire territory stretches from Korea to Iran and from river Angaria to south part of great white wall. In 1229 at the nomads' parliament hurildai Ogoodei, 3-rd son of Chinggis Khan, was titled as a King of Great Mongolian empire. His 4 sons started to lead his empire and the 2 elder sons: Zuchi and Tgaadai controlled over the western part of the empire. The elder 2 sons: Tsagaadaai and his children took his control over the territory from Samarkanda to the its south, but Zuchi and his children did control over the land from Samarkanda to north and they continued the conquering to other nations in Euroasian steppe. The youngest son Tului and his children was leading his main homeland in Mongolia, and also they continued the attacking to other dynasties in south and east Asia. In 1230 Mongolian soldiers lead by Hulegu- grandson of Chinggis Khan attacked Armenia , Georgia and Persian Dynasties crossing over Kavkazian mountain ranges. The city, which received much lost, is Baghdad , city of Persian il Dynasty and the city was burnt completely. In 1231-34 Mongolian army conquered to Altan Dynasty-North Chinese tribe, which is located in east of Mongolian homeland. After occupying the Altan dynasty, Korea was conquered by Mongols. In 1235 Ogoodei King organized nomad's parliament hurildai and Mongolian lords discussed about plan to conquer the nations in the west. 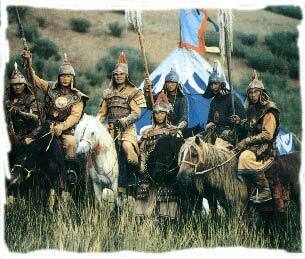 Therefore, in 1236 Mongolian horse mounted army with 150 thousand soldiers left Siberia to the west nations. Nobody expected that the army would reached Atriats sea within so short period of 5 years. On the way they invaded main commercial cities of Russia : Ryazan and Novogorod, and Kiev , which was Vizant's cultural magnificent center city. In 1238 Mongols lead by Bat, one of Chinggis's grandson, conquered to Poland and burnt its capita; Krakov. After invasion of Poland , they tended to Bohemia and Hungary. In 1241 Mongols were going to invade to Muslim's land, which comprised cities of Medina & Mecca in Saudi Arabia , Jerusalem and Palastinian land. In this time Ogoodei King and his brother Tsagaadai died, so Mongolian army stopped the invasion and went back. It was the second time for Muslim countries to avoid from Mongols' invasion. In 1242 European Empires were listening to the great invasion of Mongol nomads and little bit worried about their future, so Roman Pop sent his messenger-spy man Plano Carpini to Central Asia. In this time the territory of great Mongolian Empire stretches from Atlantic ocean to Meditarrian sea, from Angaria river to India. In 1246 At the hurildai- nomads' parliament Gueg Khan became the King of Great Mongolian Empire. But soon he died and in1251, Monkh Khan became the King. In 1252 Wilgelim de Roubruk, traveler from Europe, visited to Khara Khorum and even he attended in the lord meeting, when they discussed about plan on invasion to Egypt, Muslim countries and to south parts of China. In 1256 Mongols invaded to Baghdad city and they killed 800.000 people in that place. 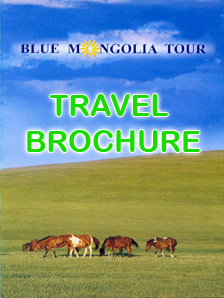 Mongolian nomads had never seen before so rich country with a lot of treasure. In that time Christian people such as Armenian and Georgian lords supported Mongolian army with recruiting own soldiers in order to make them invade the Muslim countries. But 1259 Mongolian army was just near to Muslim countries, Monkh King died and nomad's army needed to return back to their homeland. At that time Mongolian army lead by Khubilai Khan was invading in the south Asia , so he wanted to become the King. Therefore, in 1260 he announced himself as the King of great Mongolian Empire in Beijing and chose Beijing as new capital of Mongolian Uyan Dynasty. He was so educated one among the generations of Chinggis Khan, so maybe he preferred the urban civilization and chose the Beijing as capital of Uan Empire. The Mongolian Great Empire, which was established by Chinggis Khan and expanded by Ogoodei King, was extremely giant empire, which could not be suitable for economic situation, communication field and science in medieval age. Therefore, the Great empire divided into several parts after existence of 54 years. Some source said that time Mongol nomads population was 250.000 people. The empire's territory stretched from Atlantic ocean to Adriatic sea , from Angaria river to India. After the destroying the cities, Chinggis Khan and his generation people immediately restored the city and encourage the habitants to survive dealing with trade and manufacture. This was why he preferred to build a new society, that usually paid tax, follow Mongolian laws and rules, respect the other people's religion, and keep the security and morality. There is one concept Pax Mongolica, which means building peace with power. In 1210-1260 Great Mongolian Empire's Kings paid more attention on Silk Road and the merchants' security. Persian, Arabian, Greece , European, Russian, Chinese, Indian and Mongolian merchants traveled on the Silk road and dealt with business of various kinds of products. Kings initiated other regulations, which could stop the small thefts and robbing along the Silk road , and protect merchants from other dangers. In that time people learnt medicine science from China and Korea , got astrology knowledge and ceramic products from Persians, bought food from Indians, metal and precious stones from Arabian countries. The capital Khara Khorum of Great Mongolian Empire housed for many different nations and distinguished architecture. Many people, who believe in muslim, christianity, catholic, mani, daoism, chinese kunz and shamanism, were living in gorgeous capital Khara Khorum. Mongolian nomads' basic relique is shamanism, which is monotheist religion. It means its idol is not one exact object. Every nomads pray and believe for their deceased ancestors, so everyone's idol is different. So nomadic Mongols were more capable to appreciate other religion and Mongolian Kings DID NOT push the invaded country's people to lose their own religion. Kings of Mongolian Great Empire paid their attention on communication field, nature protection, business environment, literacy and jurisdiction. Chinggis Khan initiated to process and implement the law called Ih Zasag (Great Law, usually rendered into English as "The Great Yasa".) throughout all territory of Great Mongolian Empire . According to the law, each one had right to believe any religion what he wanted, so this law could work as valid for many years for different nations very equally. Also it comprised some articles on nature environment and crime. One of the new advanced thing in Mongolian society is building communication network. They could build the much effective communication network in so large territory of more than 10 thousand miles from east to west. Structure was easy one. One posting ger worked in distance of 30 km, and horse mounted messenger passed the information from one point to another post point. 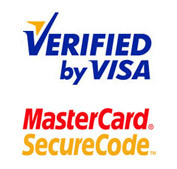 In this way, the message and information were delivered incredibly quickly. People of Mongolian Empire dealt with trade, agriculture and manufacture using paper and coin money. Most of the men are soldiers or workers for the empire, so men did not have enough time for taking care for the house holding and taking care for the cattle. All these duties were done by nomads women and they have more right than other nations' women. Sometimes men did enjoy in hunting for deers, wolves or birds. Some travelers mentioned that nomadic Mongols had own script, which was written from up to down. Even they sent official letter, written in Mongolian script, to Roman Pop with state seal, and they wrote reports on crimes, and invented history books. They invented new calendar, in which each month is named with pecularity of season. Plano Carpini, messenger from Roman Pop, wrote the nomad soldiers loved to sing songs playing on music instruments before they invaded. Their singing and playing music was very nice and good fun.